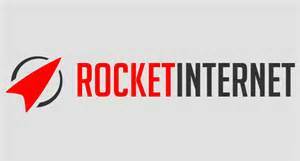 Rocket Internet the technology giant from Germany announced on Wednesday that it was planning an IPO or initial public offering that could give the company a market value of over 4 billion euros, approximately $5 billion. The announcement is just the most recent step in the company’s meteoric rise. In 2007, Alexander, Marc and Oliver Samwer three German brothers, started Rocket and have expanded the primarily e-commerce tech business from its Berlin headquarters to over 100 countries. While tech entrepreneurs from the U.S. such Amazon founder Jeff Bezos in the 1990s introduced new methods for people to purchase goods online, the three brothers found success by mimicking other successful companies online, often by applying the proven ideas within emerging markets. Over the past eight years, Rocket Internet has started hundred of different companies on the Web, which collectively are employing more than 20,000 people across the globe. They include Zalora located in Malaysia and Linio in Mexico. If a clear business model proven to be successful is out there, we look at it, said one of the brother’s. Rocket Internet is seeking to raise $967 million through its IPO in Germany, though the number of shares planned to be sold were not mentioned. The company was expecting the share price to be determined by the end of September with the listing possibly taking place before the end of 2014. The Berlin-based company said its present shareholders, including Kinnevik an investment company from Sweden, would take part in the public offering. Rocket Internet has joined many other companies involved in e-commerce that are attempting to tap into the wallets of investors. The China based Alibaba Group is hoping to raise over $21 billion in its IPO in the U.S., which could value that company at close to $156 billion, more than 30 times Rocket Internet’s proposed value. While Alibaba reported nine months of revenue through December 31 of 2013 of $6.5 billion, Rocket Internet’s most developed businesses, excluding its start-ups in their early stages, generated combined revenue of close to $1 billion in all of 2013.